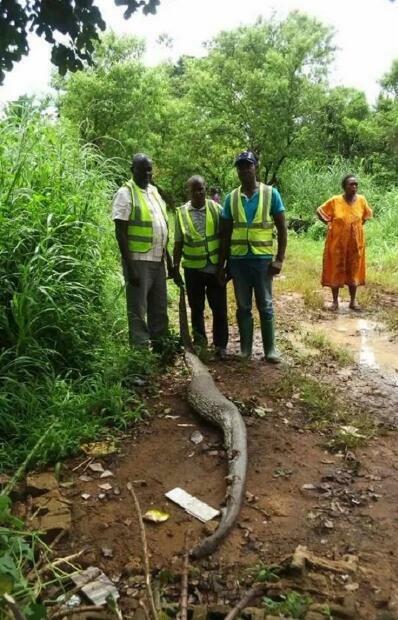 Scooper - Story News: A brave man kills a 3.6m huge snake! A brave man kills a 3.6m huge snake! 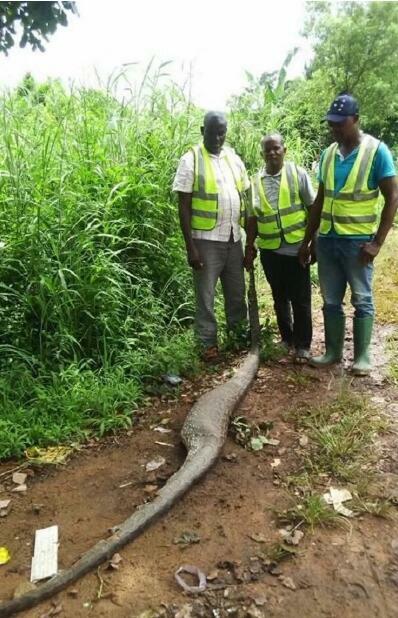 According to reports, the commissioner, Hon Barr John Nani, was at a project site somewhere in Anwai, Delta state, Nigeria when they spotted the huge python. Together with members of his entourage, they killed the 3.6m python and took turns posing with the massive reptile which appeared to have already swallowed something big. 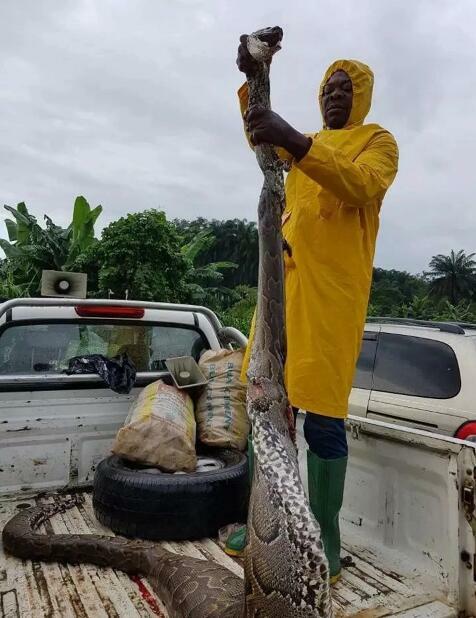 Sharing the post on Facebook, Udoka Emmanuel Chika-dibie, wrote: "Hon Comm for Environment, Hon Barr John Nani and his team encountered and killed a 3.6m python at Anwai during canal opening which will control Asaba flooding."